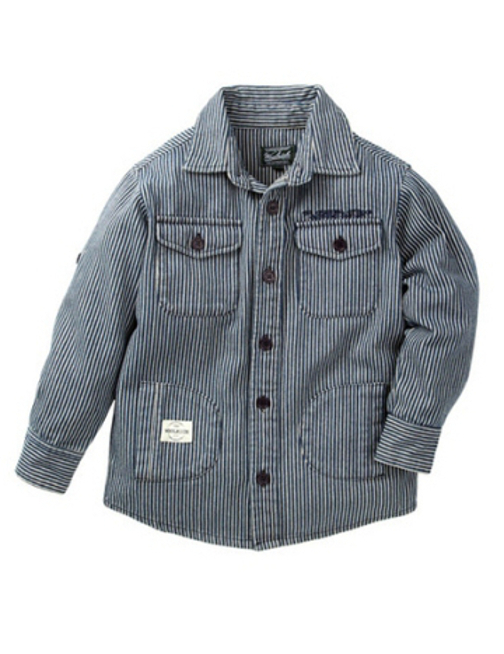 He'll feel - and look - like an authentic train engineer in this railroad stripe shirt jacket for toddlers. From Woolrich, the original outdoor clothing company. Blue and white stripe. As seen in Nordstroms, Bloomingdales, Haute Look and other fine department stores. MSRP tag $44.00. 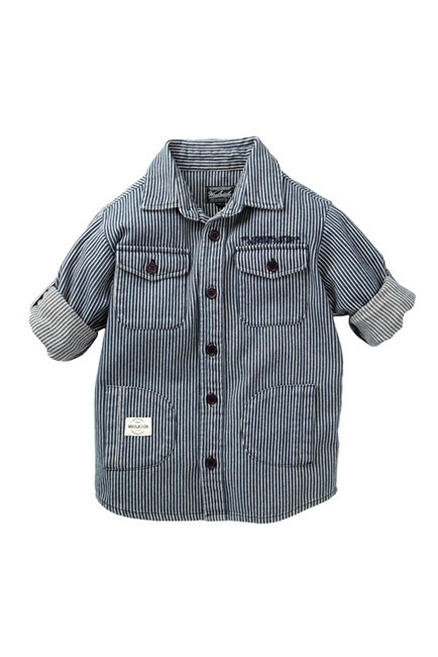 Features include - Roll-up sleeves with button tabs, chest flap pockets with button closures, side pockets for little hands, embroidered chest detail and patches, and a back hang loop. Made of 100% cotton. Machine wash.